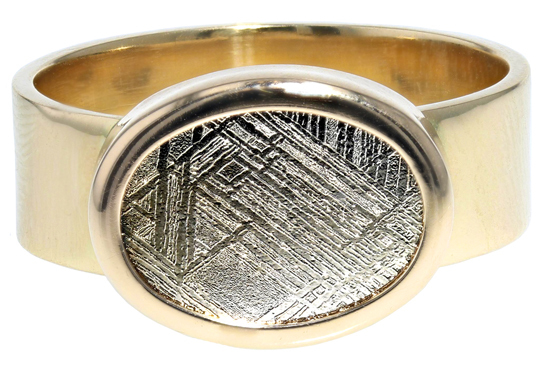 This cool ring is set with a piece of iron from an actual metoerite - direct from space to your finger! This 2.82 carat slice comes from the Muonionalusta meteorite, which landed on Earth about 1 million years ago. The distinctive pattern is formed via crystalization when iron cools over an extremely long time period, demonstrating its extraterrestrial origin.